The blues can affect people of all ages. But, the Smiling Mind app is specifically targeted at young people overwhelmed by stress, anxiety, or depression. Developed by psychologists with special training in adolescent therapy, the app helps teach young people about mindfulness meditation. New features include daily meditations geared for specific age groups. You can keep track of how many minutes you’ve meditated and do a short self-check after each meditation to see if you feel more optimistic and connected. If you’ve never meditated before, the guided meditations featured provide a good start. 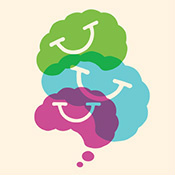 Please visit http://smilingmind.com.au/ for more information and links to the App Store and Google Play.